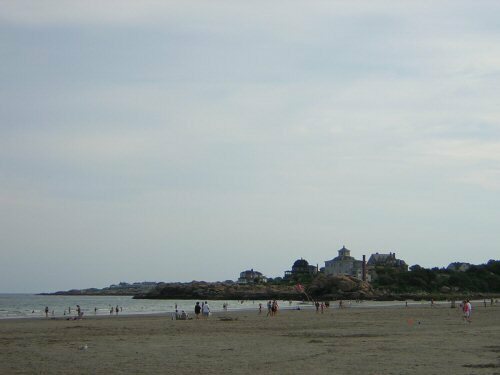 Here we will discuss Dogtown in Gloucester in Massachusetts, continuing my discussion of Mystical Places and Sacred sites, places to visit related to the prophecy and New age theories of this site. 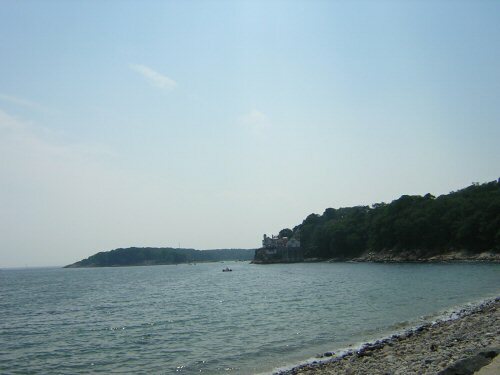 Dogtown is a higher elevation area of Gloucester, a fishing city famous from the recent movie "A Perfect Storm". Dogtown was a village in Colonial times, but a deserted ghost town by 1830. After the American Revolution the village was deserted and the abandoned homes were taken over by poor and homeless people, including a number of women who supposedly were witches. See the article "Village of 100 Witches", by Maria Dabrowski, in the book "Mysterious New England" (by Yankee Magazine, Dublin, New Hampshire, 1971). 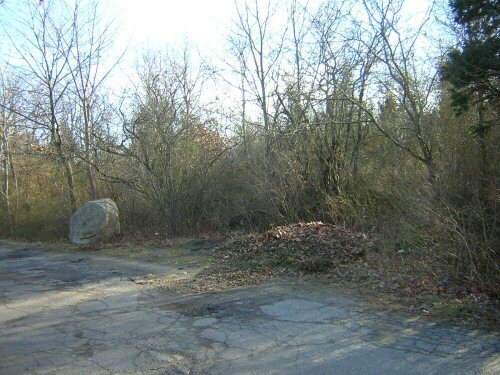 The deserted land was bought by the millionaire William Babson, who later gave the land to the town of Gloucester. So it is definitely a mysterious area. 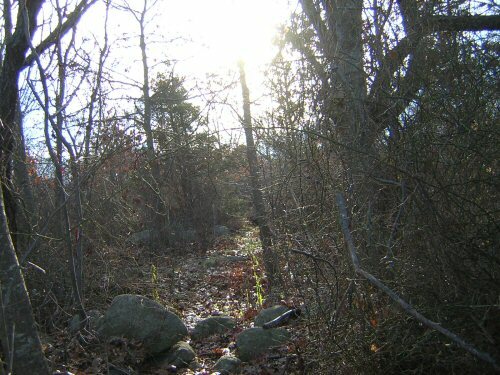 Today Dogtown is overgrown with brush, there are a lot of large rocks, and cellar holes from previous homes. Below are photos of Dogtown I took from Dogtown Road which is the entrance road into it. And below that are photos of the Gloucester rocky coast (Photos by T. Chase). Other pages on Massachusetts: Salem, Concord, Newburyport, Bridgewater Triangle, High Rock in Lynn, Cape Cod, the Milton Virgin Mary apparition. My astrology / New Age/ Bible prophecy web site link below, "Revelation13.net: Astrology, Prophecies of the Future", includes a discussion of the possibility of the Antichrist mentioned in the Bible's Book of Revelation rising to power soon, and prophecies of world events related to this possibility, and my astrology / New Age / Bible prophecy predictions of world events for the next 10 years.